Posted on March 7, 2018 at 1:52 pm. As what most homeowners say, exhaust fans do not really add appeal to one’s home, but they surely help in improving ventilation. Ideally, exhaust fans are placed on parts of the house which produce excessively high moisture and strong odor. 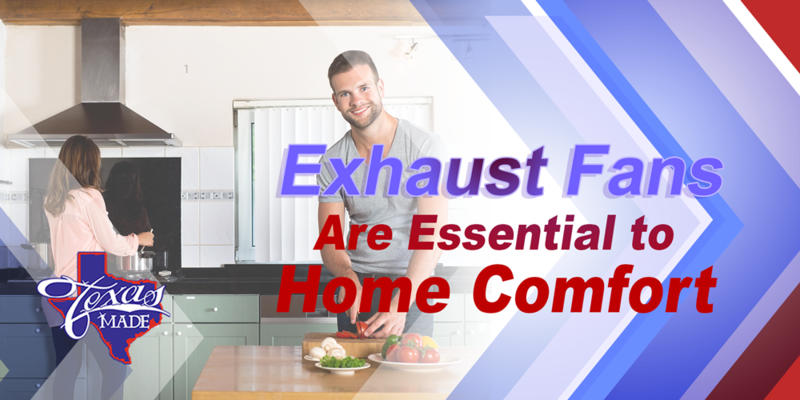 Learn more about how they work, their benefits and the various exhaust fan choices for your home. How Do Exhaust Fans Operate? An exhaust fan is just another type of fan but what makes the difference is that the blades are in reverse motion. Instead of pulling in air, exhaust fans throw it out and provide extra cooling in the area. Exhaust fans are electric devices which are either controlled by a switch mounted on the wall or connected to a thermostat. If you want to have one installed at home, you can choose between a ducted and non-ducted exhaust fans. As the name implies, ducted exhaust fans make use of air ducts where excess moisture and indoor air is moved out of the house. A non-ducted exhaust fan on the other hand does not use an air duct but filters the air using charcoal, then gives back clean air into the room. Cools home quickly. After cooking or showering, the temperature in the room can get really warm. An exhaust fan helps cool down the area fast by venting out hot air and reducing the temperature without the use of air conditioning unit. Removes excess moisture. Especially in the areas like kitchen and bathroom, humidity can become too high which can damage the home. An exhaust fan helps remove excess moisture before they accumulate on walls and ceilings. Improves indoor air quality. You can rely on an exhaust fan to keep your indoor air clean and healthy. It reduces chemicals in the air, pulls out bad odors and relieves excess humidity by venting them out of the house so that conditioned air can fill the area. Improves comfort. An exhaust fan provides proper ventilation especially to those areas where quality-diminishing agents accumulate fast. It also maintains proper circulation of air thus improving your overall home comfort. Looking for an exhaust fan installer in Granbury, TX? Texas Made Air Conditioning & Heating is just around the corner. You can count on us when it comes to exhaust fan installation and other home comfort concerns.